In a little over two weeks, the first practice session of the Australian Grand Prix will be getting underway in Melbourne and the 2018 Formula 1 season will have started. This week, we got to see this year’s cars on track for the first time at the opening pre-season test in Barcelona. 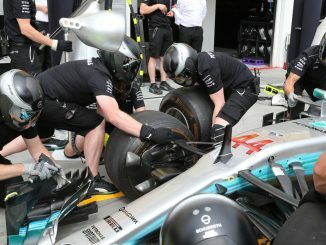 The four-day event saw a mix of weather conditions, the introduction of the halo device and all 20 of this year’s race drivers plus some test drivers in action, culminating in reigning champion Lewis Hamilton posting the fastest lap of the week in today’s afternoon session. The teams will be back at Circuit de Catalunya for another four days of testing next week, which will be their last chance to learn about their 2018 challengers before the start of the new campaign. 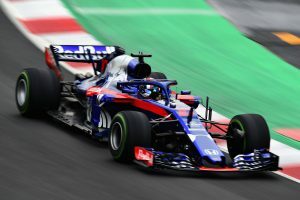 Toro Rosso had been tipped to be propping up the back of the field this season after agreeing to use Honda’s power units following the end of their partnership with McLaren. 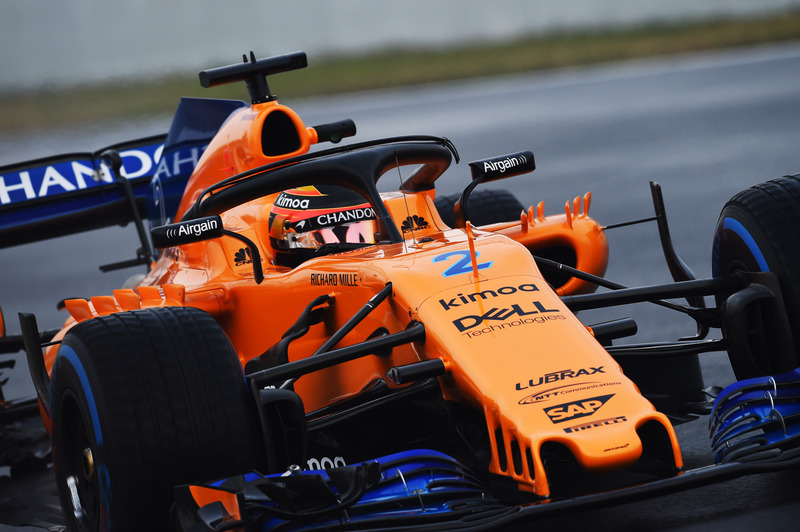 Honda’s engines resulted in a series of retirements, engine penalties and Sad Fernando radio messages in their three-year relationship with the British team. Much to everyone’s surprise though, the Honda power unit didn’t miss a beat in the Toro Rosso this week. No-one did more laps than Pierre Gasly today, with the Frenchman completing an astonishing 147 laps. 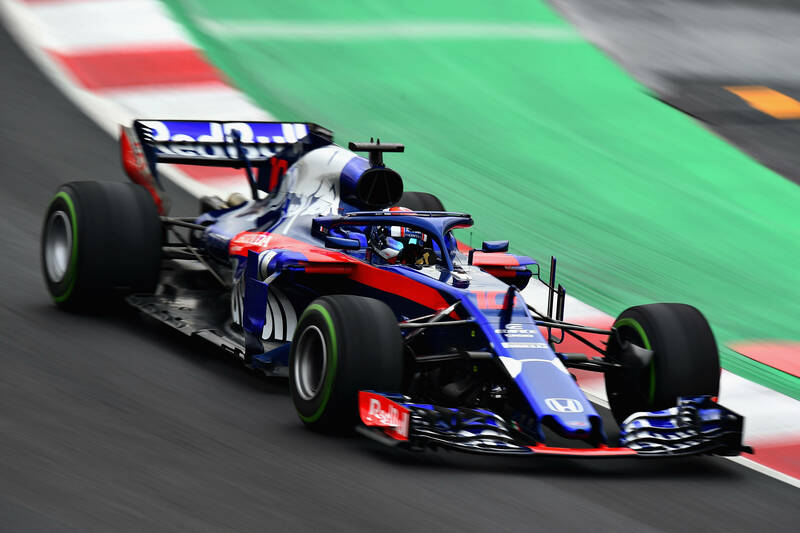 With 324 laps completed in three days of running (Wednesday was practically a write-off due to the weather conditions), no team has more mileage under their belts than Toro Rosso going into next week’s test. The pace has been solid as well for Toro Rosso. The team’s fastest laps on days one and two were quicker than those set by Haas, Williams and Sauber, while Gasly was ahead of Valtteri Bottas and Nico Hulkenberg today, although those two both split the driving duties with their teammates. 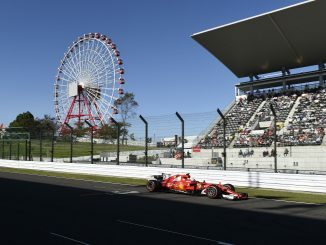 It can be hard to judge pace in testing – some teams won’t want to show their rivals just how quick their car is, while others will just be trying to get through the schedule without having any mechanical problems. Given the PR disaster that was pre-season testing for Honda with McLaren last year, it seems likely Toro Rosso haven’t had the wick fully turned up over the last couple of days, which suggests there could be more to come from the Red Bull sister team. The real test will come when the engine gets turned up for qualifying and has to follow other cars in traffic on race days, but the signs are certainly promising. It was blatantly obvious most of Wednesday wouldn’t be much use to any of the teams due to the weather conditions. 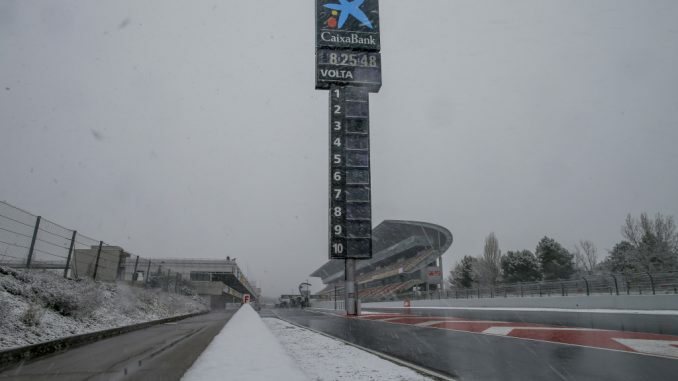 The forecast gave snow, and snow it did, leaving Alonso as the only driver to bother setting a time on day three. Everyone knew by Tuesday afternoon this was going to happen, resulting in the teams having a vote to consider binning off Wednesday entirely and using Friday as day four. While that may have made sense, two teams reportedly voted against the plans. Without unanimous support from the teams, the powers that be couldn’t make the change. Although we don’t know who voted against the idea, Williams had an interest in not delaying the test, as the team has the circuit booked for a filming day tomorrow. McLaren’s Eric Boullier hit out at those who blocked the move, claiming teams who voted against testing on Friday were selfish. The problems with the weather also forced talk about the location of pre-season testing, with Bahrain being touted as a more suitable option at this time of year. While Barcelona has been wet, rainy, snowy and dry this week, Bahrain has been predictably dry and sunny all week. Neighbouring Qatar is currently hosting Moto GP for testing, and riders had no problems getting a full day’s track time in at Losail. Bahrain has previously been used for pre-season testing, although not since 2014. Red Bull team principal Christian Horner and driver Daniel Ricciardo have both spoken in favour of returning to the desert at this time of year, but Haas have expressed concerns about cost and logistics, particularly for the smaller teams. Seven F1 teams are based in Britain, two have their factories in Italy and Sauber are in Switzerland – all countries that are just a couple of hours away from Barcelona by plane, or an overnight drive with a van or truck. If the teams need more parts quickly it’s really not an issue to get it to a European circuit, but Bahrain is much further from home for the teams, and the cost of getting freight to Sakhir would be much higher. 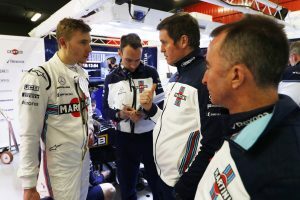 Williams have repeatedly had to defend their 2018 driver lineup after deciding to put rookie Sergey Sirotkin alongside teenager Lance Stroll in their car this year, choosing the Russian over Robert Kubica. The Polish driver, who won the 2008 Canadian Grand Prix, has battled back from a partially severed forearm sustained in a rallying accident to earn a shot at a return to F1, but had to settle for a reserve and test role with Williams this year. Although many pundits and fans believe Sirotkin got the seat because of the sponsorship and funding he brings to the team, he did impress on track in the Pirelli tyre test at Abu Dhabi last year, and has been a solid if unspectacular performer in GP2. Sergey Sirotkin, Williams FW41 Mercedes, Rob Smedley, Head of Vehicle Performance, Williams Martini Racing and Paddy Lowe, Williams Martini Racing Formula 1, in the garage. Sirotkin spent his first day at the wheel at the 2018 Williams almost 24 seconds off the pace of Daniel Ricciardo, who was the quickest driver on day one. The team lost a day of testing last year after throwing then-rookie Stroll in for the first couple of days. 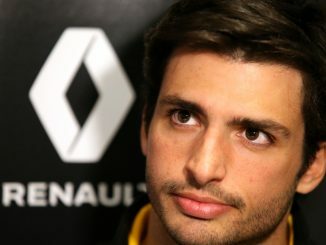 He had a series of crashes, resulting in him damaging the chassis of the car which prevented Felipe Massa running on the fourth day of the test. Sirotkin’s day one pace suggests the team has learnt its lesson, and wanted the young Russian to spend his first few laps getting used to the car and the track before trying to go as fast as possible. However, when he shared the driving duties with Robert Kubica on Tuesday, it was the more experienced reserve driver who set the quicker times – with his fastest lap almost 0.4 seconds quicker than Sirotkin. Kubica has done pre-season testing before and probably needs less time to get use to a new car than the rookie, but Sirotkin’s performance has done nothing to remove the question marks surrounding his appointment at Williams. Sirotkin was slowest again today, a full 10 seconds adrift of teammate Lance Stroll. Sirotkin needs to show improvement next week or he’ll already be feeling the pressure when he gets to Melbourne. As always in pre-season testing, there are more questions unanswered than answered. We still don’t know where McLaren fit into the pecking order. The Woking-based team have a new engine supplier in Renault for this year, but struggled for track time as Alonso lost a wheel just a couple of laps into the opening session on Monday, while Stoffel Vandoorne lost time on Tuesday with an exhaust problem. The team were so desperate for track time they even went out on Wednesday, when most teams were content to sit in the garage and post about the snow on social media. However, with better weather and a working car, Vandoorne set one of the fastest times of the week this afternoon, finishing just over half a second behind Hamilton and ahead of Ferrari’s Sebastian Vettel. Red Bull also remain something of a mystery. Daniel Ricciardo was quick out of the blocks, setting the pace on Monday. However, a fuel leak and a trip into the gravel prevented teammate Max Verstappen getting his full lap quota in. Ricciardo also missed out on Wednesday because of the snow, and says the colder temperatures mean the times aren’t a true reflection of the car’s pace. Only Haas and Force India spent less time on track over the four days. Many had expected Force India to come to pre-season testing with a new identity. The team has been the subject of takeover talk, with an energy drink brand (no, not Red Bull) among those rumoured to be interested in buying Force India, although the team has denied this. Force India have been looking to change their name from 2018 so they have more global appeal, and turned up to Barcelona with less Force India branding on their team kit. Otmar Szafnauer claimed during the test that a new name would likely be in place before the start of the season, but admitted it will be harder the closer it gets to the deadline. The team isn’t afraid to leave things late though, as it was only a week before Australia last year that they announced they were changing to the pink livery, having completed testing in the previous year’s colours.